[Review] Is Invite2Money Real or Fake? Recently, I did review with this website, PayRefe that offers money out of work, then Invite2Money suddenly appear and still offer the same services as PayRefe. 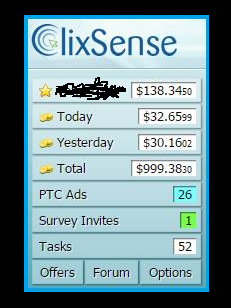 If you happen to see the PayRefe website, it is exactly the same as this Invite2Money. The design, the flow, and the statements are exactly similar. So, it is undeniably a SCAM too? Okay, Let us find out. 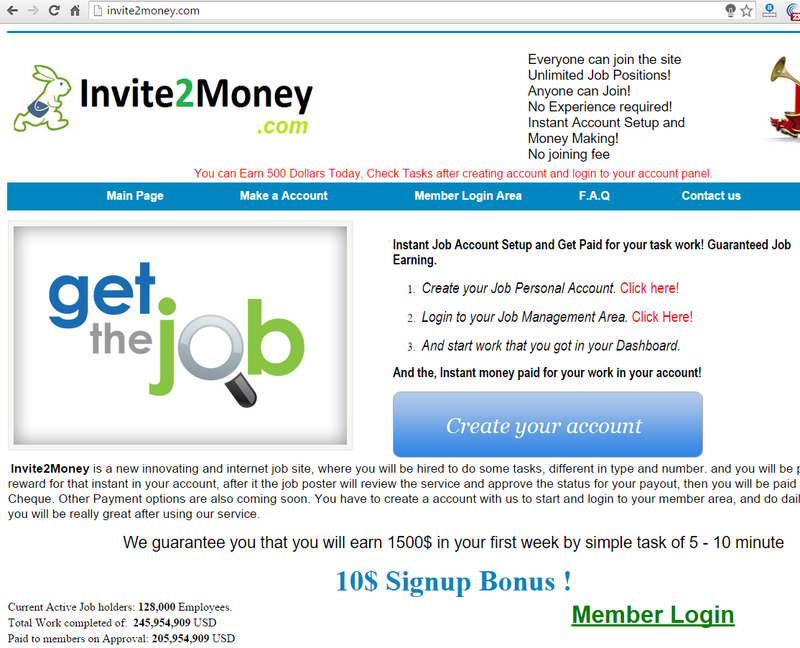 Initially, Invite2Money is offering a job online which a member (well, can only work in referring others with its link) can earn BIG amount of money. A phishing attempt has been detected on this page. For this educational purposes, I take the risks by visiting it instead. If you happen to visit my recent review about PayRefe then, there is no need to continue reading here. As you can noticed, the design interface is quite similar except its logo. I will make it shorter. 1. Lack of Security features such as activation, authentication, captcha, secure https and other likes. 2. Impossible $10 Signup bonus for FREE! If so, where did they get their financial? It's good to be true, but kinda fake actually. 3. 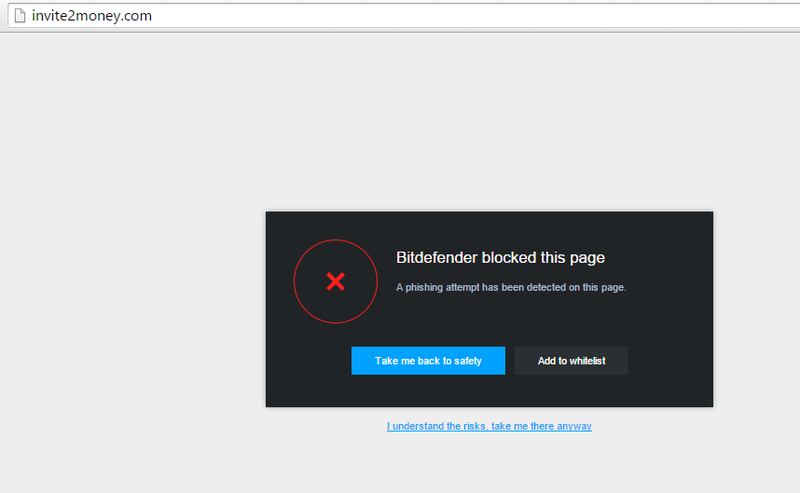 This is quite new registered website, yet it claims to pay ahmmm What the hell? 4. Fake statistics, OMG! As usual, if you will fall for this nah, you need to think twice in dealing with this kind of website. 5. Simple and plain registration (sux). Yes, a legitimate ones have a complicated and tedious fields to fill out. 6. No actual evidence for payments. Yes, where is it? As skeptical type of person, I need to see if it is really giving out money though. 7. No owner information (WTF?). Of course, if you are running fake and scam website, you don't need to put your information. If you value your TIME and EFFORT, just don't engage and register INVITE2MONEY. Don't waste your precious TIME though.